This stage is about preparing a woman’s body to be in the best shape possible to carry a pregnancy. We usually recommend a woman to start preparing her body to be “baby ready” three months prior to conception. Chiropractic care prior to conception promotes more regular menstrual cycle and optimal uterine function. It prepares the body to be strong and balanced to carry the “baby bundle”. Chiropractic care accompanied with nutritional whole food supplementation will help during the preconception stage to prepare a woman’s body for pregnancy. The World Health Organization, the American Society for Reproductive Medicine (ASRM), and the American College of Obstetricians and Gynecologists (ACOG) recognize infertility as a disease. Infertility is a disease that results in the abnormal functioning of the male or female reproductive system. Your brain, spinal cord and all of your nerves control and regulate your body. Every cell, tissue, organ and system (even your reproductive system!) takes instruction from your nervous system. Thus, an important aspect of health is how well your nervous system is orchestrating the workings of your body. That’s why we’re interested in your spinal column. Joint restrictions or fixations among the moving bones of the vertebral column protecting the “Information Superhighway” of your spinal cord can affect your well-being and your ability to conceive. Restoring proper nerve supply to reproductive organs has helped many couples who thought they were in infertile. 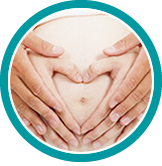 Interestingly, our infertility cases have seen positive changes during their course of care with chiropractic alone or accompanied by other specialists’ care. We find that most illness and disease in the 21st century have an environmental component. This toxic buildup accumulates deep within our organs and most often goes completely undetected. If you don’t detect and eliminate all forms of toxic stress on the body, people simply can’t recover or achieve optimal health-let alone conceive. Even your scars could be interfering with your body’s nervous system and blocking its ability to communicate and thus control vital functions. Nutrition Response Testing® technology coupled with chiropractic care may reveal the key or the “missing pieces” to solving your health challenges. Contact us today to learn more.